I’m on a journey to find what is real in life. This journey led me to essential oils. Their high frequencies resonate with me in a very real (and literal!) way. When I discovered that they even exist, I knew I needed them in my life. What I have discovered is that they are an essential tool in my daily life. I use them to support healthy body systems including physical, hormonal and emotional. The smells are more amazing than you would think and their support is unmatched. My 3 year old asks almost constantly for oils… especially Tummygize and Owie. My husband loves using a combo of Lemon, Lavender and Peppermint so he can enjoy every spring and summer day. I love using Young Living’s soaps and makeup and will excitedly share my knowledge of these products. 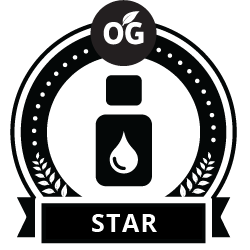 I would love to show you how I integrate Young Living’s Oils and products into my daily life and family and bring you along on my continued quest to learn new and exciting ways to use them. Interested in learning about oils? Want to schedule a class? This is where it's done. Want to learn more? Contact Shaloma Allen — A Bellingham Young Living essential oils distributor.